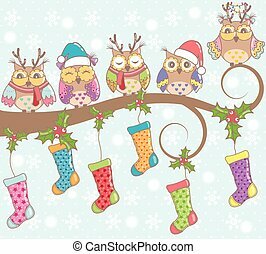 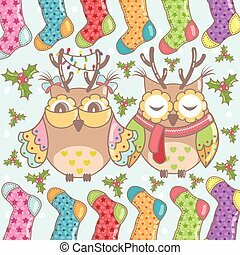 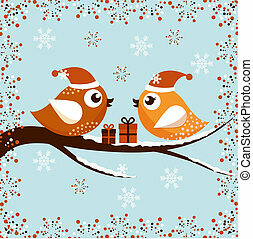 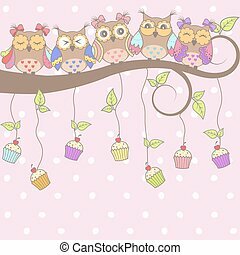 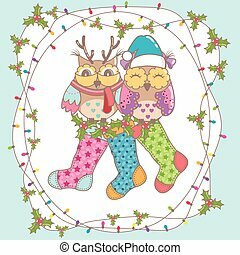 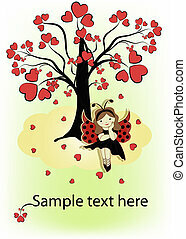 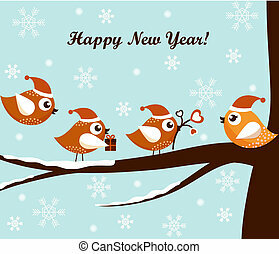 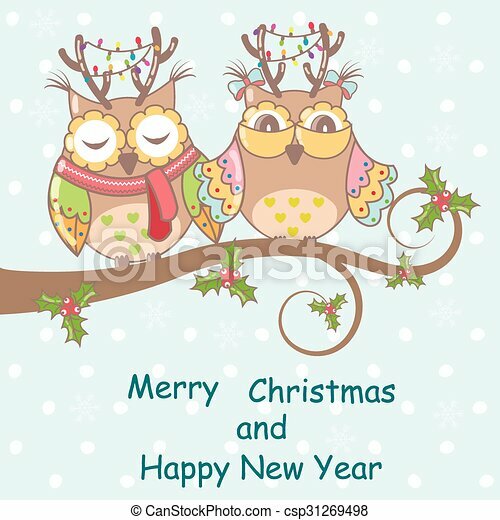 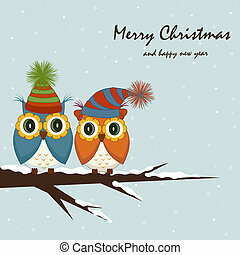 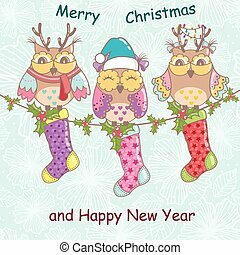 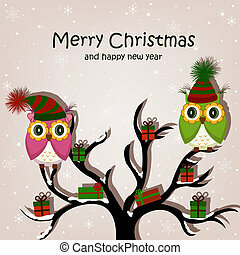 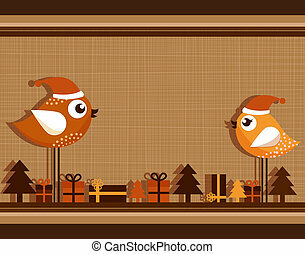 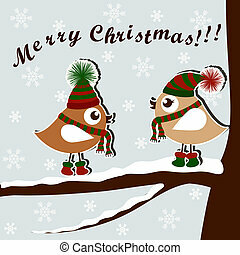 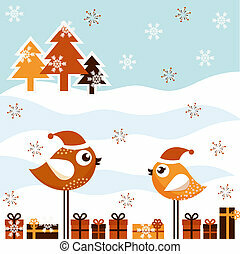 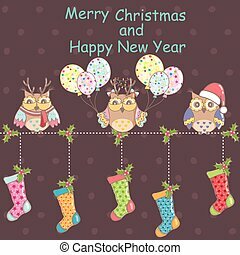 Christmas card with owls on a tree on a blue background. 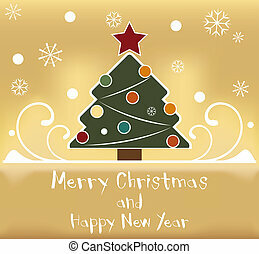 Greeting card with a Christmas tree. 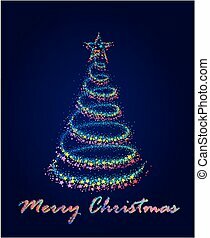 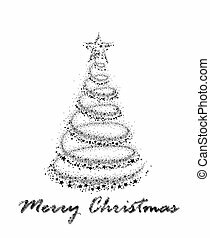 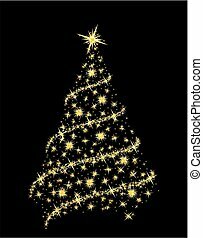 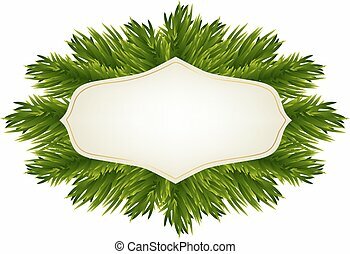 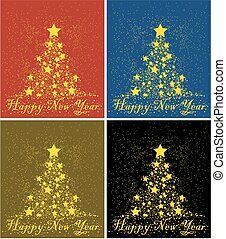 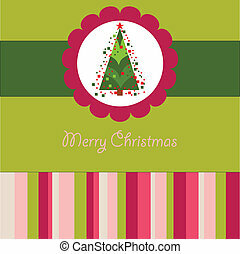 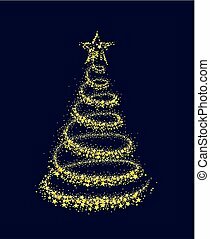 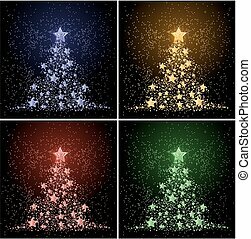 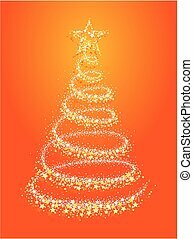 A greeting card with Christmas tree. 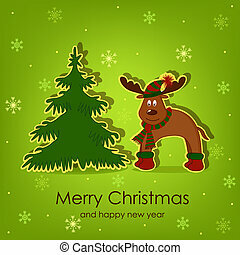 A greeting card with a Christmas tree. 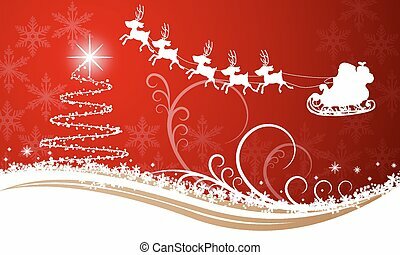 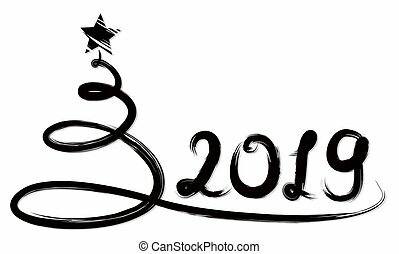 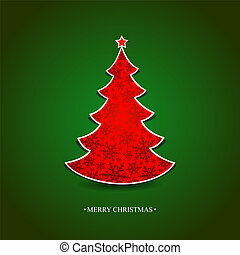 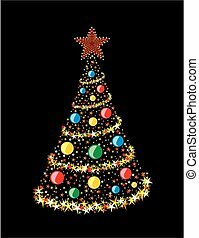 Christmas tree on card with Santa Claus, vector art illustration.